World renown opera singer Jose Carreras will perform a one-off charity concert in New Zealand next month. The singer will perform at Elephant Hill Estate & Winery located in Te Awanga, Hawke’s Bay, in the North Island of the country to benefit the Leukaemia and Blood Foundation, New Zealand’s leading resource of information specifically for patients, family members and friends affected by leukaemia and related blood conditions. 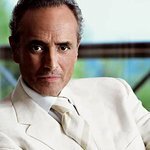 Gifted with a beautiful voice, José Carreras is considered one of the world’s greatest tenors and opera singers of his generation. With a phenomenal international performance career spanning over three decades and including recognition as one of the famous Three Tenors with Placido Domingo and Luciano Pavarotti, José Carreras continues to mesmerize audiences with his sublime tenor voice. Carreras is a survivor of Leukaemia himself, and set up the José Carreras International Leukaemia Foundation after recovering from the disease in 1987. The singer also recently contributed to a recipe book created to raise funds for the Treetops Hospice in England. Along with comedian Jo Brand and several other celebrities, Carreras donated a recipe to “Helen’s Book”, which was written in memory of professional opera singer and enthusiastic amateur cook Helen Beechinor of Derbyshire, who died of Breast Cancer last year. Proceeds from the book will go towards a new centre so that it can double the number of people the hospice helps. Helen’s Book costs £7.99 and is available at Waterstone’s bookstores in the UK. Tickets to the benefit concert in New Zealand – which takes place on January 31 – are available here.